Brilliantly written, thought provoking and entertaining read. Thank you @elephantlass. Here’s to more cake for us all. Many years ago I had a friend who dated a narcissist. In true narcissistic fashion she was extremely charming at first, but it soon became clear this woman had a massive ego. After a few months my friend broke up with her. It didn’t end there though. She couldn’t accept his decision so she cajoled him to take her back, and when that failed, blackmailed him with suicide threats. She told him every man she’d ever dated had wanted her back eventually and he’d be no different. I saw my friend age ten years in two months. Just like a vampire, she was draining him of his life force. Tragically she had a mental health issue, one that’s rarely diagnosed due to its very nature, and now he was developing a mental health issue as a result of her being in his life. When I saw him, after a gap of a few months which he’d spent travelling, he looked the picture of health and happiness. I put it down to his time away. I was wrong. ‘I’ve blocked her,’ he said by way of explanation. One of the hallmarks of narcissism is a craving for attention. Good or bad, it doesn’t matter – any attention is better than none. That’s why narcissists, or people with narcissistic traits, become very adept at goading. And here is where the politics comes into it. In my capacity as amateur armchair psychologist, I’ve developed a theory that certain members of the Parliamentary Labour Party, not naming any names, have narcissistic tendencies. Not for them a resigned yet respectful acceptance of the huge mandate Jeremy Corbyn has been given. That would draw no attention their way (though it might have earned them our respect). The mainstream media are circling over the PLP like vultures. Some anti Corbyn MPs recognise this as a reason to display at least a certain level of loyalty. For others this presents a golden opportunity. Every time they tear a chunk off Jeremy Corbyn or his team, and throw it out there, hundreds of media vultures are ready to swoop in and eat it all up, then regurgitate it for the general public to eat up, with extra venom thrown in for ‘good’ measure. For the narcissist, this results in lots of attention (and at times money) which their damaged narcissistic egos, crave. The bad news is, there is nothing we, the Corbyn backing members, can do to change this dynamic. The media are gunning for Jeremy, and some members of the PLP are too. It’s a cross we are going to have to bear. The good news is, how we bear it is in our control. These MPs are the masters of goad. Twitter is where they put these ‘skills’ to best use. Every time we reply to their tweets, whether with angry ‘join the Tories you pillock’ style tweets (the type they love most for it allows them to wallow in self righteous indignation), or a more restrained ‘why are you trying to undermine the party?’ we are feeding their egos. To the goaders, our tweet not only represent the seconds we dedicated of our lives to tweet them, but also tells them we are ranting about them to friends and family, as well as spending a lot of time thinking about them. 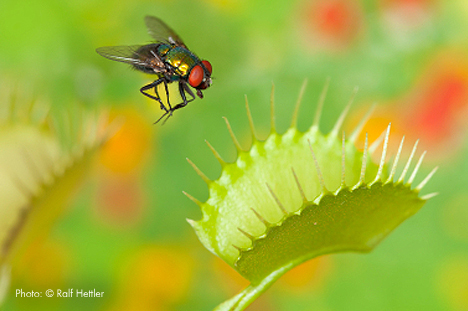 Frankly every time we give these MP’s the time of day, we are falling into their trap, feeding them the way a fly feeds a flesh eating plant. So here’s my suggestion. Block them. Think of any MP who has wound you up in the past to the extent you have felt compelled to tweet them, or quote their own tweet with your own commentary added, and block them. This doesn’t have to be just MPs. It may be journalists, or other social commentators. On a personal level I can only think of two I should block. While I was never rude to these people, I have been drawn into fruitless discussions with them, expending energy I could have spent sending out a positive message to those with ears to listen. But what if we don’t reply? Won’t that look as though we agree with them? Personally I’ve pondered this and I think not. If we channel all our energy into positive tweets about the leadership, we are telling the world we don’t agree with them, but we are doing it in such a way we don’t feed their egos. But won’t it look as if we can’t cope with dissent? Won’t the commentariat say we are falling into our own echo chamber? Well they might say that if we went round blocking everyone who disagreed with the leadership. Let’s face it, we are going to disagree with them ourselves at times. However that is not my proposal. I’m thinking of very specific people who don’t do debate, but do specialise in winding people up. Even if we get some satisfaction from venting our spleen their way, I’m growing more and more convinced it’s just not worth it. How can it be when it fuels their sense of self importance? I am fully aware this crusade may never get anywhere, but I felt it was worth a try. These MPs love attention. The thing that will disturb them most, is not getting any. That’s why I’m going to be blocking a few after I’ve finished writing this post. If we don’t acknowledge them, we are starving, rather than feeding their voracious egos. Without these MPs in our lives, we will grow stronger, happier and healthier, with more space in our lives for positivity. We grow while they shrivel a little. I am a genius. Yes it’s true, I really am. Stephen Hawking’s intellect can’t hold a candle to mine. I could knock a Hadron Collider up in my back garden tomorrow if I put my mind to it. Why are you asking me for my O’level results? They really aren’t relevant. Their mediocrity says little about my great intellect. And before you ask me to take an IQ test to confirm my genius status, I can already tell you it’s hovering round the average mark, but that doesn’t mean I’m not a genius. From now on, I always want to be referred to as ‘the genius Michelle Ryan’. I’ve already sent a memo to all broadcasting agencies and they have agreed to accept my genius status without question. They are very good like that. 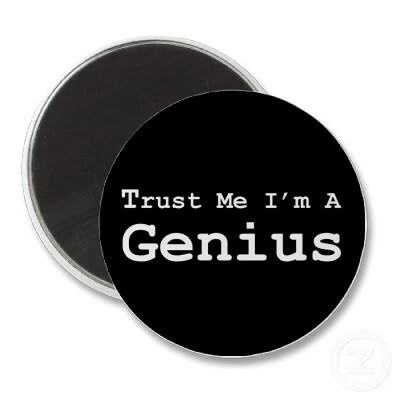 Okay, before you rush to diagnose me with Narcissistic personality disorder, I know I’m not a genius. I know my intellect is dwarfed by Stephen Hawkings’, and I can barely manage to put up flat pack furniture let alone contemplate building a Hadron Collider. Besides I’m terrified of the thing. Joking aside, I’m trying to make a serious point, and the point is this. Moderate. Whenever I hear that well worn word applied to certain members of the Parliamentary Labour Party I want to call trading standards. It’s one thing if they label themselves as moderates. They have as much right to tell the world they are moderate as I have to tell the world I’m a genius. It’s the mainstream medias unquestioning adoption of the word that really rattles my cage. These MP’s know full well by claiming the moderate mantel, they are by default labelling ‘non moderates’ as extreme, irrational and over emotional. So it’s clever spin. And let’s be honest, it’s not just by default either. 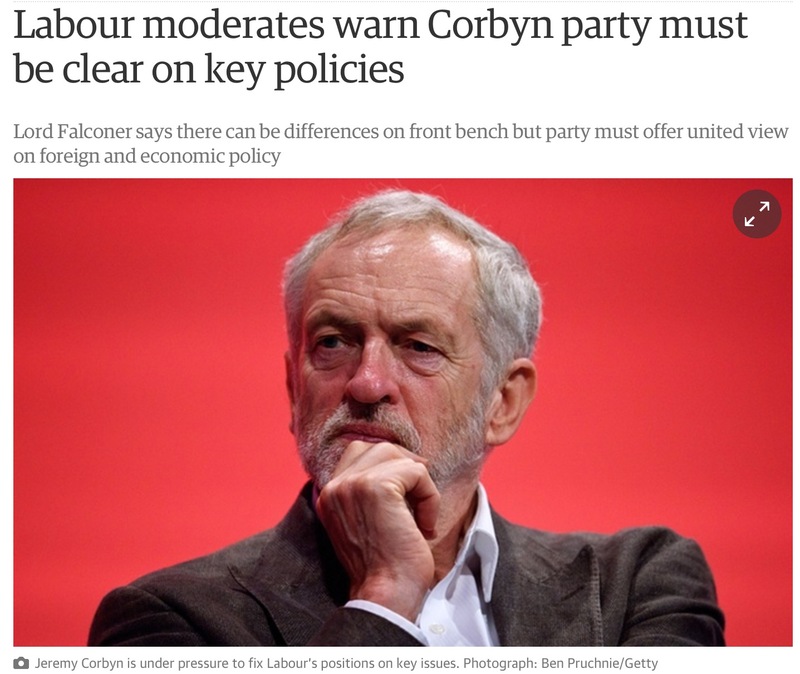 Throughout the leadership campaign Corbyn supporters were patronised in the extreme by those who label themselves moderate. Ben Bradshaw diagnosed us with post election emotional spasms. Tony Blair, the king of all ‘moderates’ suggested we get a heart transplant. Alan Johnson pleaded with us to end the madness. Every one of these remarks fit neatly into the ‘we are sensible and you are overwrought’ narrative. What is unacceptable to me, is the way the mainstream media also use the ‘moderate’ label without any caveats. Occasionally I’ve seen the word placed within inverted commas, which weakens its power, but more often than not its used in a way that reinforces the absolute truth of the moderate status in the public psyche. 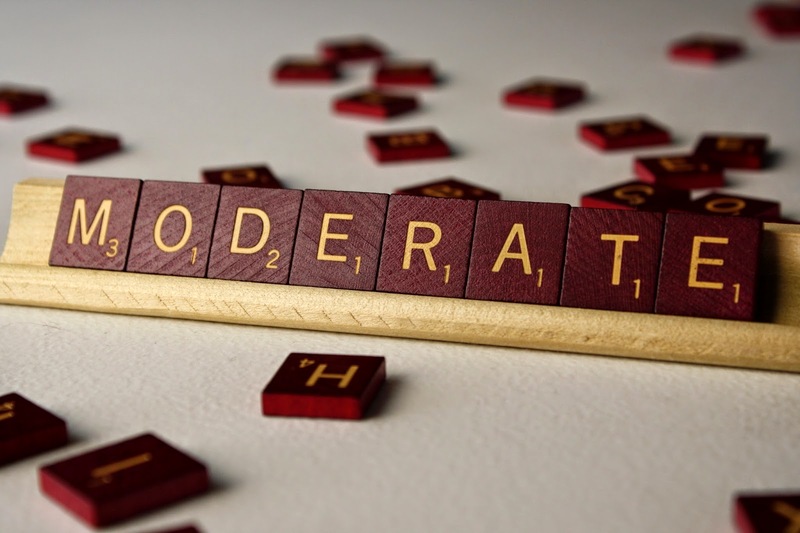 But whatever terms we come up with I suspect the mainstream media will stick rigidly to the term moderate. It suits their own politics and agenda to do so. All we can do is refuse to play along – vow never to use this word again, or if we do, make sure we apply it to ourselves. 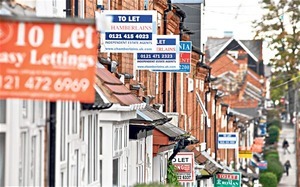 After all, it is we on the left who are offering the rational, sensible solutions to the problems faced by so many Britons today; problems such as low pay, insecure work, excessively high rents, and the inability to get on the housing ladder. It is we on the left who don’t rush to war, but think the situation through calmly, valuing diplomacy over bombs. It is we on the left who consult with top economists to ensure we come up with the fairest and most effective way of tackling the deficit. And it is we on the left who accept climate change as a very real threat. We on the left are the real moderates, and we should say it with pride. Going to secondary school in leafy affluent High Barnet, meant making friends from a different social strata to the one I’d been born into. My dad worked as a meter reader and my mum a cleaner, and I lived in a two bedroomed council house. 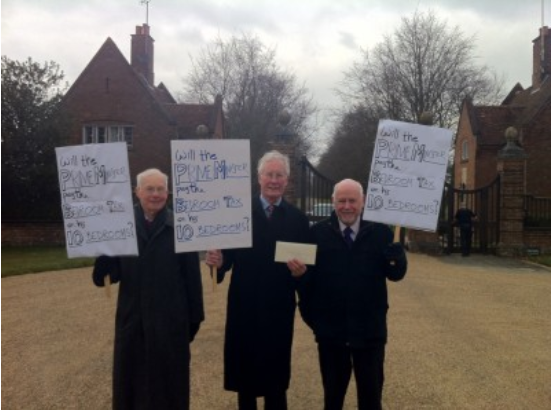 My friends parents worked as estate agents, solicitors, GPs, and bankers. Some of their hallways were as big as my lounge. Did I feel embarrassed by my humble origins? 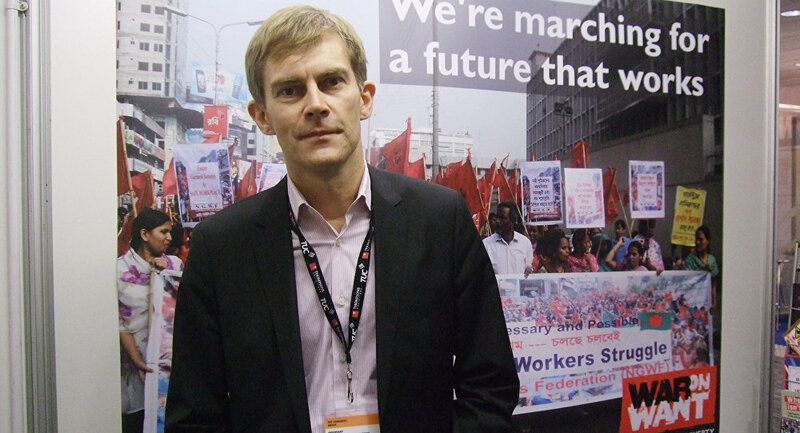 On the contrary – my Labour supporting republican mum had instilled in me a sense of pride in my working class heritage. 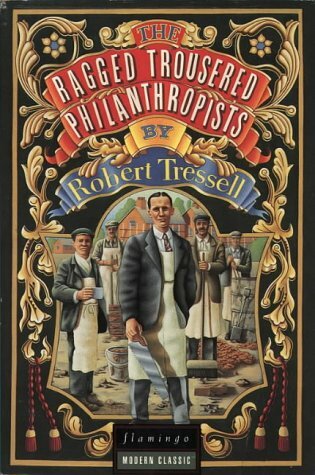 My mum turned to Labour after reading The Ragged trousered Philanthropist as a teenager. My dad, an Irish immigrant who’d left Limerick aged 8, didn’t share my mum’s politics. He was a liberal and a staunch royalist. This difference of opinion often led to heated rows, particular when elections came round; rows that most of our neighbours probably guessed at whenever a Labour poster would appear in our lounge window, and a Liberal one in my parents bedroom. To make my early political education even more confusing, and interesting, my mum’s mum, who I adored, was a Sun reading Tory. We had some corking rows during the miners strike. And then there were my wonderful school friends. Whilst most of them didn’t share my interest in politics, those who did mostly claimed to support the Tories, like their parents. Out of this mishmash of influences, I drew a valuable life lesson. You cannot identify someone as a good or bad person by their politics. My Tory nan was a loving decent person, as were my Tory friends. My liberal dad was just as loving and caring a parent as my socialist mum. It also taught me a persons politics can change. Whilst I felt a natural affinity with my mums politics, I wasn’t as staunch a republican as her. Maybe I felt bad for rejecting my dads politics completely and decided to identify with at least one aspect of his beliefs. Shortly after my dads premature death at the age of 59, I embraced republicanism wholeheartedly, something that probably wasn’t a coincidence. My mums road to Damascus moment, triggered by one particularly profound and beautiful book, compounded this lesson. Was my mum a bad person the day before she read The Ragged Trousered Philanthropist and a good one after? Of course not. She was the same person, just a more aware one. So where are you going with all this? I hear you ask. 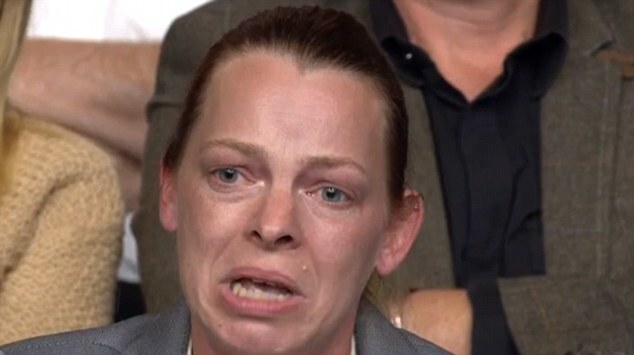 The answer to that question has a name, and that name is Michelle Dorrell, the single mum so badly betrayed by a Tory party she had only recently voted for. Michelle’s out pouring of raw anger on BBC Question Time, has been met with mixed reactions on the left. On the positive end of the scale, Michelle has been recognised as someone who deserves our sympathy, regardless of who she voted for. On the negative end, Michelle has been told she deserves everything she gets because she had voted for the very same government now doing herself and her family harm. Whilst I’m not judging anyone for their responses, I am hoping this blog post gives those who have responded with disdain for Michelle pause for thought. No matter the trigger that opens someone’s eyes to the callousness of the Tory government, and no matter how late in life it comes, can we not celebrate that awakening rather than chastise them for not being born with that innate knowledge? Can we not appreciate that everyone has grown up with different political influences, and been exposed to a media that is heavily biased toward the Tories, limiting most people’s opportunities to see politics in a balanced way? Can we not welcome them into the labour family with warmth and good grace, reassuring them that they are now one of us, whatever their past allegiances? The Tories certainly don’t turn their face against new voters, whoever they once voted for. Welcome home they say. Can we on the left be just as welcoming? This video by Nenasadie sums up the Corbyn Campaign for me. Enjoy! We appreciate you are disappointed and no one would hold that against you. You’ve made it clear throughout the campaign you didn’t want Jeremy to win. It would look a bit odd now if you told the world he was the best thing since sliced bread. For those of you who have born your disappointment with dignity, and a proud determination not to become a destructive force within the party, we applaud you. You are the true party loyalists. Sadly though, there are some who have leaked despairing letters to the press, retweeted right wing tabloid smear stories against Jeremy Corbyn, or even worse, written them. 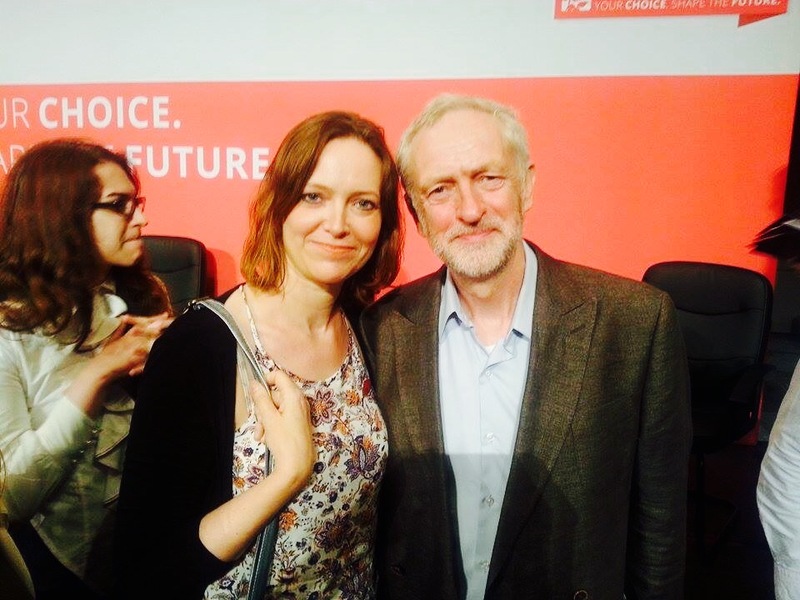 One MP told a fringe meeting at conference our party is f****d because Jeremy Corbyn is now leader. When you do these things, you not only make yourselves look bad, you play right into the Tories hands. Maybe that doesn’t worry you. You are rich compared to most people. A Tory government probably benefits you personally, but that’s not true for the vast majority of people in the country. For the million people reliant on food banks, for the disabled having their support cut at every turn, for the public sector workers with their shrinking pay and slashed pensions, and the young, with no hope of a decent home or a decent job, a Labour government is their only hope. When you turn your disappointment into a determination to undermine the Corbyn administration at every turn, it’s those peoples lives you are treating with contempt. 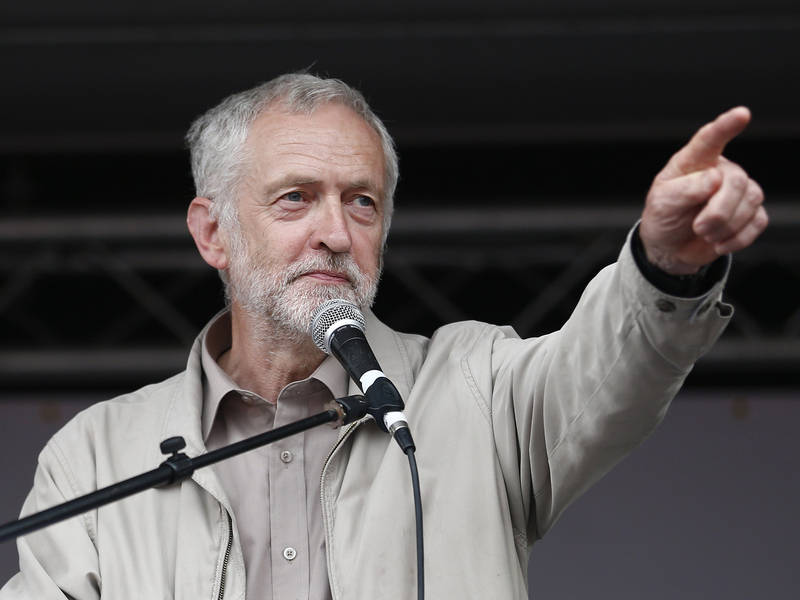 You say Jeremy Corbyn is unelectable, but if you constantly brief and snipe against him, that may well become true. Parties seen to be fundamentally split never win. Is that your aim? We sincerely hope not. 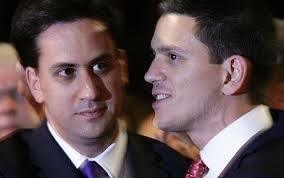 Unfortunately you seem to have learnt very little from the Miliband administration. Those of you who backed David for leader, could never quite let your disappointment go. Rumors of discontent with Ed as leader and possible leadership challenges, fed into the right wing narrative that Ed was a weak leader, hard for the party to bear. We, the members, never forgot or forgave your disloyalty. When we lost in May, we were stricken. It was all we could do to drag ourselves out of bed the next day, let alone appear polished and perky in a tv studio, stamping our own wrong headed and hasty analysis on why we’d just lost, and eagerly putting our hats in the leadership ring. Yet that’s what some of you did. The hard truth is, you’ve read many things wrong. You’ve read why we lost the election wrong. You’ve tried to make your analysis fit your politics. You’ve ignored the shift to the radical left in other counties that have had austerity imposed on them. The U.K. is no different. Under a PR electoral system, the green surge may have become a green landslide. 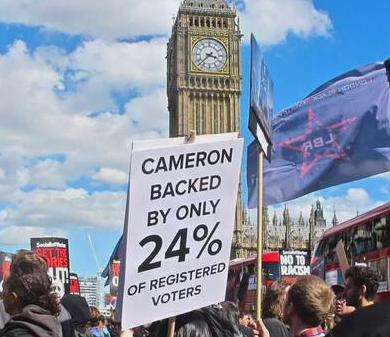 A large percentage of the 37% who didn’t vote, would have voted, and they would have voted for an anti austerity party. The people of Britain are crying out for change, though you might not have noticed that in your cosseted lives. 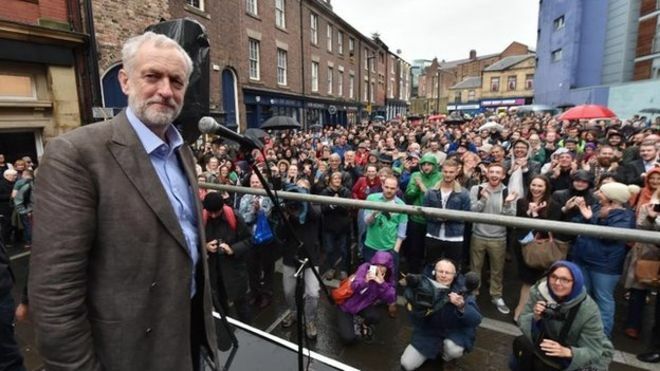 We, the Corbyn movement – made up of police officers, teachers, small business owners, the unemployed, students, journalists, doctors, the disabled etc, etc, etc, are merely a finger in the wind of that change. We haven’t been air dropped in from a strange left wing planet where people see things only through a left wing filter. We are bog standard normal people. 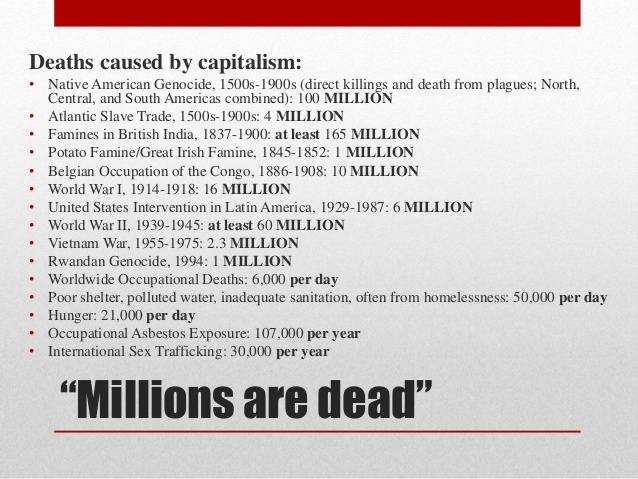 But we are sick of growing inequality. We are sick of seeing our children stressed about student debt. 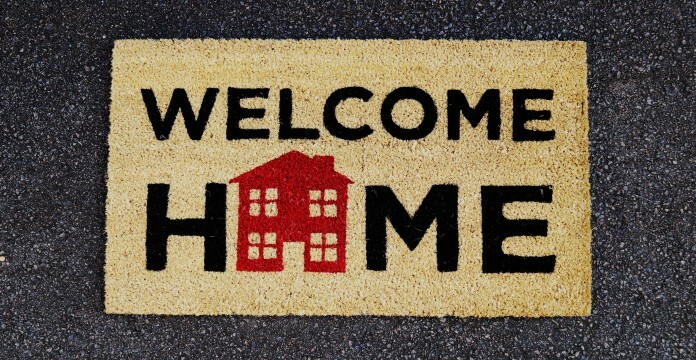 We are sick of living in a society where decent homes for our children are so unaffordable they are stuck living at home well into their twenties, or even thirties. We are sick of worrying about the support available for our frail, elderly, sick, or disabled loved ones, or ourselves. We are sick of being told our tax credits, pay and pensions ‘have’ to be cut to pay for a banking crisis we did not cause, while at the same time hearing taxes are being cut for the most wealthy. There are so many things we are sick of, too many to list here. Yes, 24% of the total potential electorate voted Tory, but that means 76% didn’t. Those are the votes that are up for grabs, and yes, even some Tory votes too. You argue how we, the Corbyn voters, are different from ‘normal’ people because we are more left wing. But as Owen Jones rightly says, most people don’t think in terms of left and right. They think about policies that either help or hinder their lives. What they struggle with is incongruence. For all Ed Miliband’s best intentions, the message he put forward to the country in 2015 was confused. We have a cost of living crisis, he said, so we are going to freeze public sector pay and child benefit. 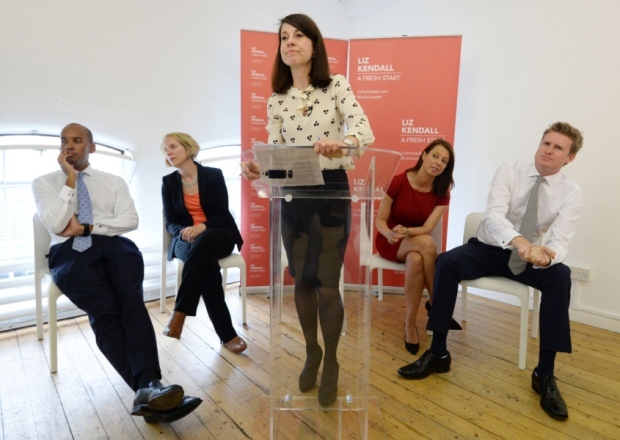 The energy price freeze, the ban on zero hour exploitative contracts, the scrapping of the Non Dom status – suggested Ed had brave radical instincts, but there was something holding him back, and that something was you. You are one of the primary reasons we lost in 2015. Your determination not to rattle the right wing media and woo Tory voters, is why 2 million naturally Labour inclined voters, in the end didn’t bother to vote. It’s one of the reasons Scottish Labour voters, even those who voted no to Scottish independence, voted SNP for the first time in 2015, and the continual undermining of the Corbyn administration by the right of the party risks us losing them for good. It’s why so many Labour voters gave the Greens their vote, despite knowing they could never win, and why we lost votes to UKIP, who craftily posed as the party of the workers. We weren’t offering enough hope to keep those voters with us. Yes, being more radical might cost us some votes to the Tories, those Labour voters who switched from the Tories to Labour under Blair, but there is a very good statistical chance we will win back more than we lose. And yes, we will incur the wrath of the Mainstream Media, but we’ll inspire a huge and energized grassroots movement to campaign on social media and in the streets to counteract it. At the end of the day, we’ve tried it your way for several decades now. Your middle ground policies, yes, won us three elections (though many would argue we would still have won in 97 with a more radical left agenda…and that much of your success was down to timing), but ultimately lost us millions of voters and now two elections in 2010 and 2015. Give us a shot. Let us try it our way. Help us. Put your disappointment to one side to become loyal activists and MPs. That way, if we lose badly in 2020, we won’t be able to point the finger of blame at you. Anyone who knows me in the real world knows I’m not the pushy type. I’m inherently shy around people I don’t know and don’t yet trust. My grown up children affectionately call me ‘the hermit’. I’m happy within the bubble of my family, and close, life long friends. It’s not that I don’t like people. I do. I have an optimistic view of life, and believe most people are good, honest and caring. I just enjoy my own company, and that of my husband, and nearest and dearest, and don’t feel a great need to extend my social circle beyond that – in part because I find socialising with anyone I’m not completely at ease with exhausting. I’m one of those people who feel responsible for keeping conversation flowing, yet never feel I have anything of interest to say. But recently I’ve been forced to come out of my shell. 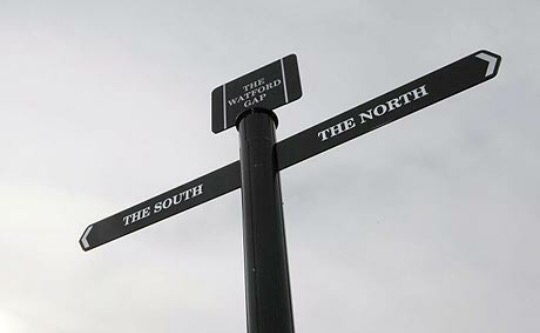 A girl who didn’t like to speak up in the class room for fear of saying something silly, has suddenly become the woman who has recently written three articles, two of which have been published in The Morning Star and one posted on the blog Think Left. I’ve joined several FB groups, and my friends list has tripled. I’ve become a tweeting maniac, helping to organising Twitter storms and petitions. I even volunteered at a phone bank – me, the woman who hates speaking on the phone so much, I frequently pathetically plead with my husband to make any official phone calls. So what is it that’s forced me out of my comfort zone? I’m sure a lot of you will have already guessed, especially if you’re backing Jeremy Corbyn in the labour leadership campaign. The thought of Jeremy as leader, turning Labour back into a party that arouses passion, and stands for something again, is what has driven me out of my shell. My husband, my children’s step dad, is a police officer. I run a little holistic therapy business. We struggle at times, but overall we manage ok. But my children are not managing ok. My son, a support worker, doing one of the most important jobs in the world, caring for vulnerable people, can’t afford to leave home at the age of 25. My daughter, a single mum, lives in terror in case this callous government plus the plug on her financial support before she can find a job, and even after she does. And my youngest is now wondering whether to pursue her dream to go to university. Her brother earned his degree before fees trebled, so for him it wasn’t as scary, but she’s wondering if it’s worth it. I’ve become the reluctant campaigner for them, and for all the other young people out there whose dreams of a secure home and secure, well paid work, seem a million miles away in this increasingly unequal world we live in. And I’m doing it for those who suffer mental health issues, and who have such an uphill battle to get the support they so badly need. And I’m doing it for everyone who is struggling due to the cuts. And I’m doing it for peace, and for a more environmentally sustainable country, and for equality for all, and I could go on and on and on. My personal comfort comes second when so much is at stake. When I hear Jeremy Corbyn referred to as a reluctant leader, especially when it’s said as an insult, I allow myself a wry smile. The factors that have driven Jeremy to stand for leader, and then commit to being our leader – if that’s the will of the members – are probably not a million miles from what’s driven me to campaign so hard for him. He’s not driven by personal ambition, or glory. He’s driven by love. His love and care for others. For all of us. Now that’s the sort of leader I want. What about you?